How to integrate APC220 with arduino? Arduino Project: How to integrate APC220 with arduino? 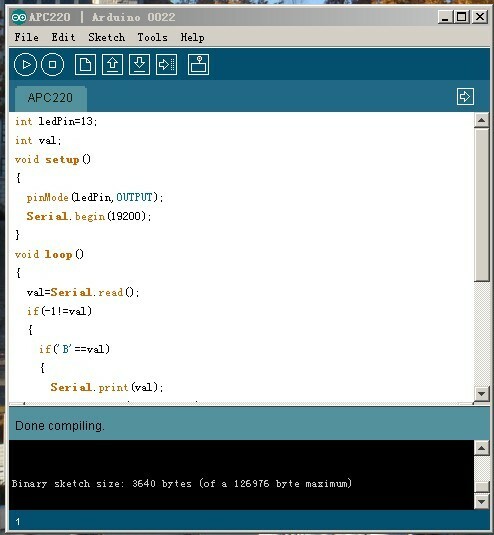 APC220 communicate with arduino via serial port TX and RX. 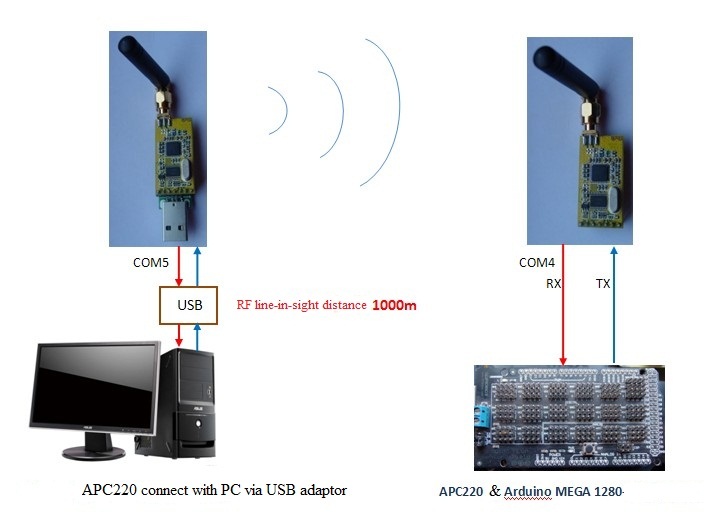 APC220 can use not only peer to peer communication but also for one to multiple communication. One APC220 with USB adaptor connects with PC. One APC220 connects with arduino extension board with arduino mainboard. 6, Air data rate: 1200 to 19200bps. 7, UART baud rate: 1200 to 19200bps. APC220 has 7 pins. These are SET, AUX, TXD, RXD, EN, VCC, GND. It only need four pins connect with arduino board. It is shown in the chart. In order ensure APC220 pairs working normal, two APC220 should have the same parameters, especially frequency. Users utilize the RF-tool by PC. Firstly, connect APC220 with PC, than doubleclick the RF tool . The UI shown below is the interface of setting tool. Choose the PC serial as ‘COM5’, then the tool will show ‘Found device’. Configure the parameter of ‘Frequency’ to 470MHz, ‘RF air date rate’ to 19200bps, serial rate to 19200bps. Lastly click the ‘Write W’. The parameter configuration is completed. The next step is testing the program. Start Arduino-0022 and choose the type of the control board. My choice is MEGA 1280. Then set the serial port of control board, It is COM4 shown above. 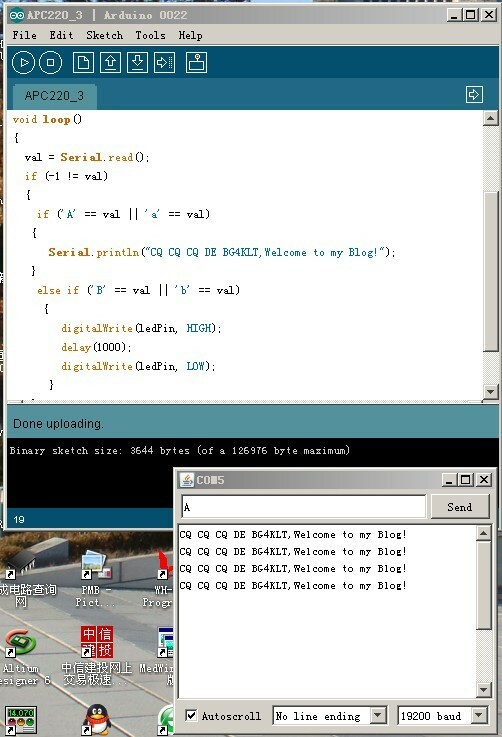 Program function test: when user read the string ‘B’ from the serial port of arduino mega. D13pin LED will blink one time. Download the program before it compiled. Caution: Disconnect the RX and TX pin with arduino before download program, otherwise it can make the program download failed. digitalWrite(ledPin,HIGH); // Control D13pin, output level High，LED is ON. digitalWrite(ledPin,LOW); // Control D13pin, output level Low，LED is OFF. 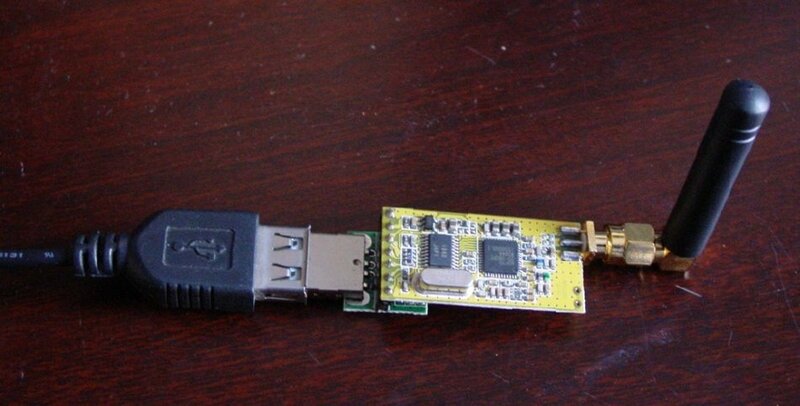 http://s3.sinaimg.cn/middle/6575a3c2g99b2a32507f2&690 The serial port is COM5. Another serial port is COM4. Users can see the two output ‘B’ of two windows by ASCII’66’. 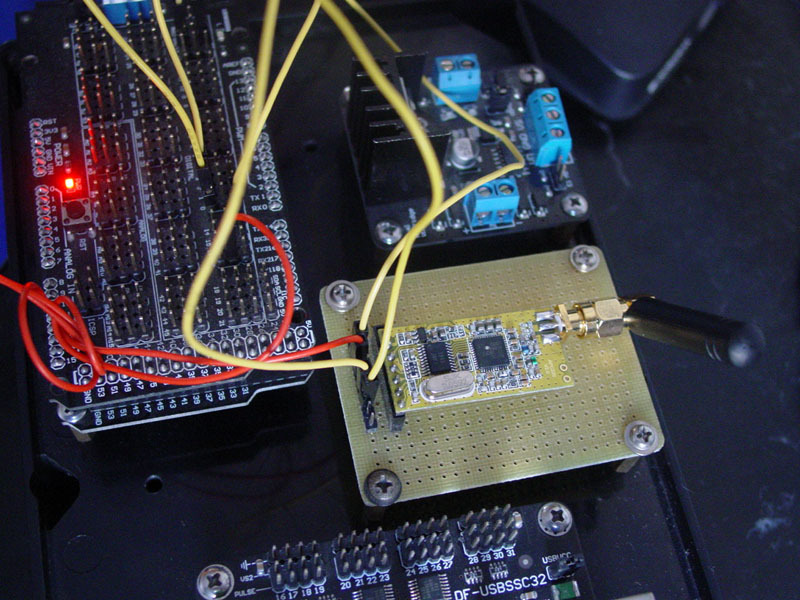 Cautions: Users should close the RF toolbefore using the serial debug tool , otherwise the two serial ports could conflict. Program function test: When the PC send ‘a’ or ’A’, Arduino board give the string’ CQ CQ CQ DE BG4KLT,Welcome to my Blog!’ for responds. When the PC send ‘b’ or ‘B’, the D13 pin LED will on for 1 second. 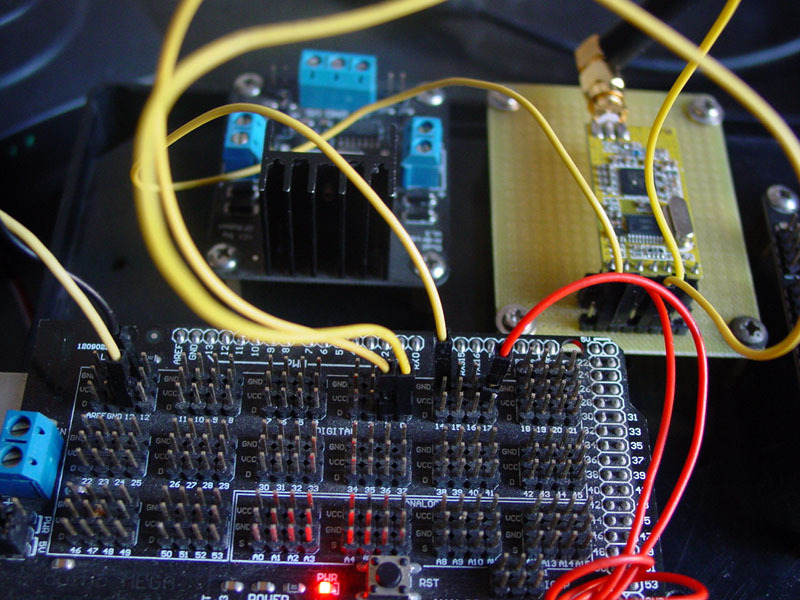 Like the test one, firstly compile the test program and download to Arduino controller. Power on the arduino board, then connect APC220 with PC through USB adaptor. 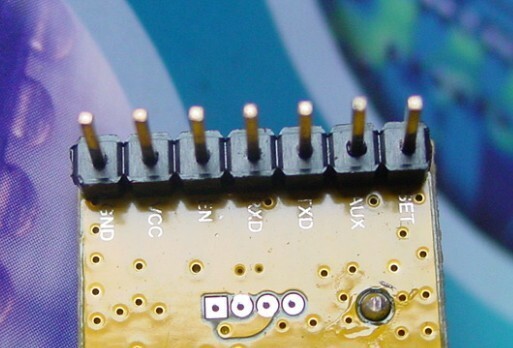 Open Arduino-0022, in the menu of ‘Tools’ -> ‘Serial Ports’ users choose the serial port ‘COM5’ like before. 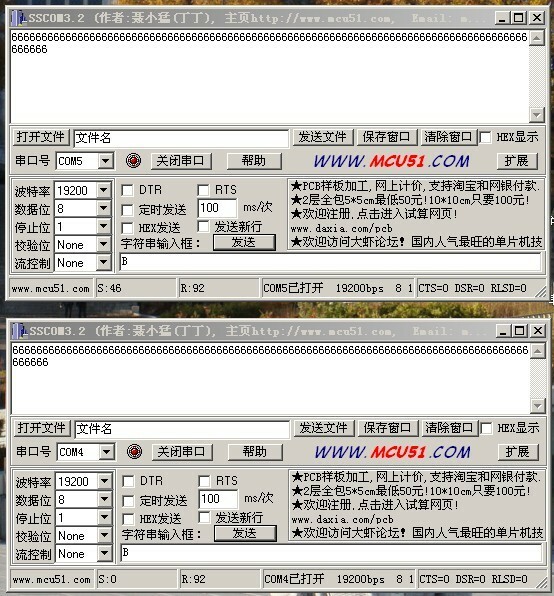 Then open the serial monitor ’ http://s16.sinaimg.cn/middle/6575a3c2g99baa2391eaf&690’. Input the command ’A’ or ‘a’ and click ‘send’. NOTE: We have released RF4432 for alternative APC220 with higher sensitivity and max power output. 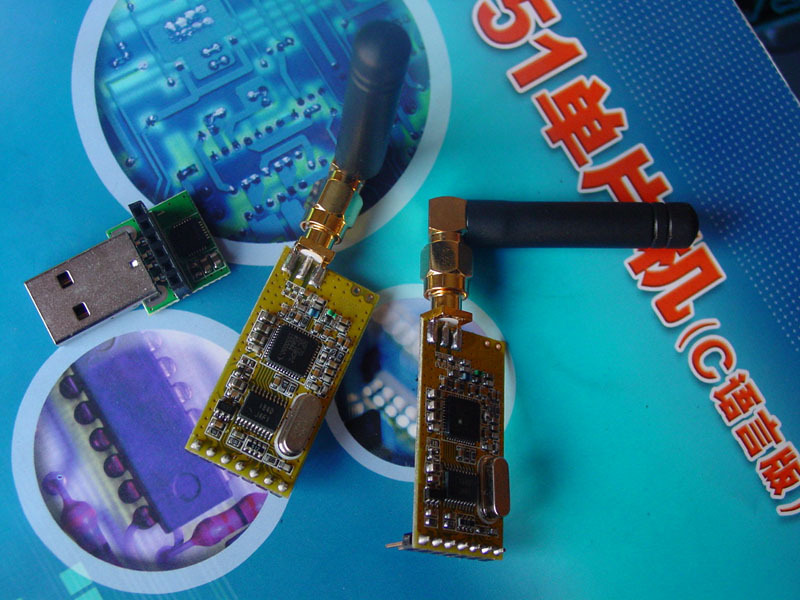 RF4432 can cover the 868MHz and 915MHz band. They are Pin to Pin compatible.